An Edinburgh Italian restaurant has scooped the title of the UK’s best pizza restaurant for the third time. La Favorita, on Leith Walk, also won the top nod for having the country’s best independent delivery service at the Pizza, Pasta and Italian Food Association PAPA Awards which recognise the best and most genuine Italian restaurants. The restaurant spent thousands of pounds on launching its delivery service this year. It invested in a fleet of five red Minis branded with the La Favorita logo, as well as top-of-the-range pizza bags to keep meals at an optimum temperature and customer ordering software. Proprietor Tony Crolla, who also owns Vittoria on Leith Walk and George IV Bridge, said: “The PAPA Awards are the most sought-after accolades in the Italian industry in the UK. “To win the Pizza Restaurant category almost every year since we opened is a great testament to the staff, work and service at La Favorita. “We are only as good as our last meal, but winning awards helps staff and guests to feel reassured they are at one of the best pizza restaurants in the UK. Other winners at the PAPA Award included Sainsbury’s for Frozen Supermarket Pizza Retailer and Glasgow’s Bella Napoli for Italian Restaurant. The awards, now in its 19th year, recognise all aspects of the Italian food market, from designing pizzas to manufacturing pasta products. PAPA is the only formal trade body in the UK representing the pizza, pasta and Italian food and drink industry. 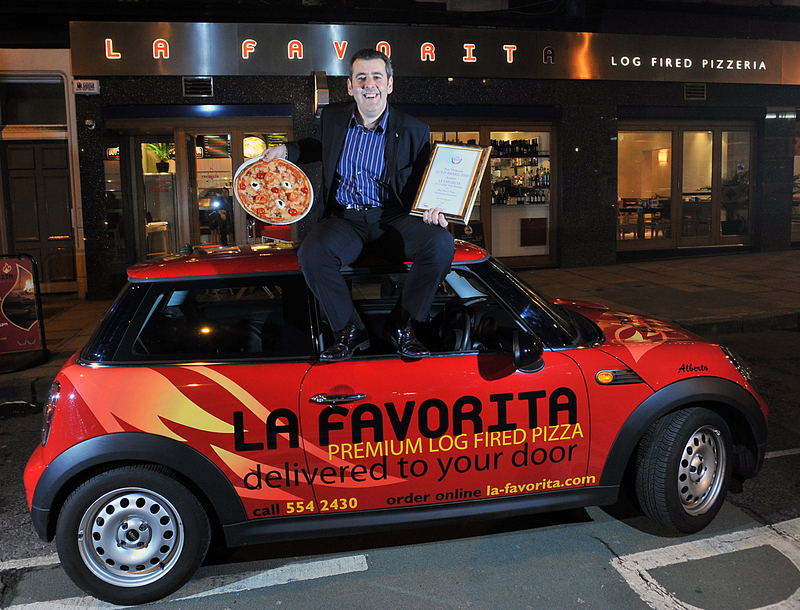 La Favorita beat off competition from Heavenly Pizzas in Aberdeen, as well as Dublin takeaway Bistro Bianconi and Lupa and Basilico, two of London’s leading operators and claimed the top prize at the lavish ceremony in London’s Royal Lancaster Hotel. La Favorita’s sister restaurant Vittoria is also celebrating after being shortlisted for Italian Restaurant of the Year in the Scottish Restaurant Awards. The winners of the prestigious awards will be announced in January. Tony added: “Winning these PAPA awards is a fantastic end to the year for La Favorita.